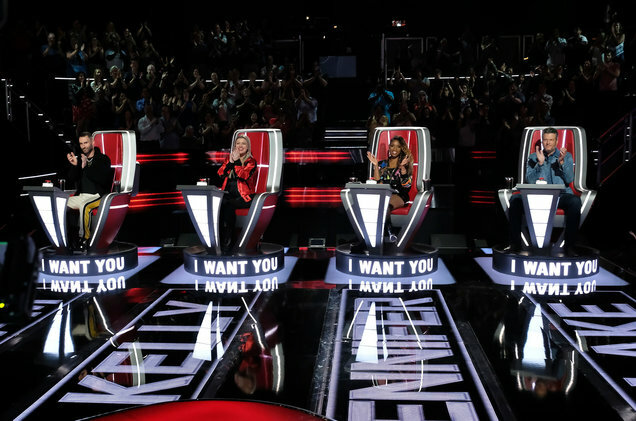 "The Voice" The Knockouts begin on Monday night October 29 at 8:00 p.m. /7:00 p.m. C on NBC. 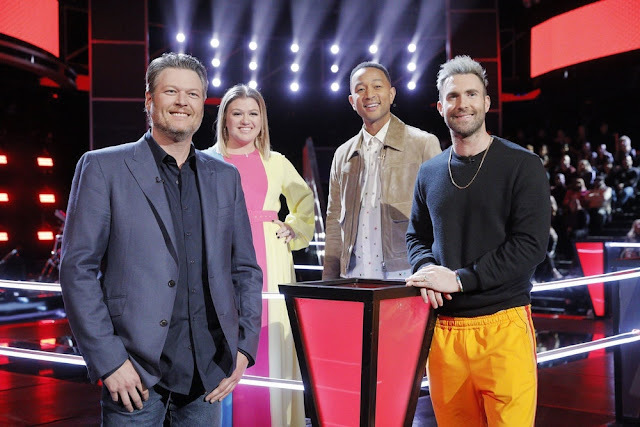 The "Knockout Round" begins with coaches Kelly Clarkson, Jennifer Hudson, Adam Levine, Blake Shelton, and the key advisor that they have enlisted to mentor their teams through this round of the competition. The artists will be paired against a teammate once more, but this time they will each select their own song to perform individually, while their direct competitor watches and waits. Each coach will have the opportunity to save one of their artists, so the artist not selected will be available to be stolen by another coach and potentially saved by their own coach, leading to even tougher decisions for the coaches and the artists. Carson Daly hosts. In this Knockout Sneak Peek, Team Adam's Radha sings "I'll Be There," by The Jackson 5 to face off against Reagan Strange who sings “Dancing On My Own” by Robyn. The contestants pick their own songs in the Knockouts. After the coaches listen to both performances, they choose one singer to move on to the Live Playoffs. The loser goes home OR can be stolen by a fellow coach. Each coach has one steal apiece.